Spin up a Linux box locally or in the cloud. Not ideal – latency/bandwidth to the cloud is poor, and right now I don’t want a power hungry server running 24/7. Buy the Ubiquiti Cloudkey – a small device that runs the controller on your local network. Build the controller system on a Raspberry Pi I already have kicking about. This is a very context specific decision. In a few months I’ll have a bunch more bandwidth, and will be running a server locally again, at that point a Hyper-V VM running Ubuntu will probably make more sense. Until then, let’s build what I am calling the UniPi! I started with a clean copy of Raspbian Stretch Lite. While SSH used to be enabled by default on the Raspbian Pi releases, this has changed with Stretch. To enabled headless setup you’ll need to burn the image then put an empty file named ssh in the boot partition to enable ssh. 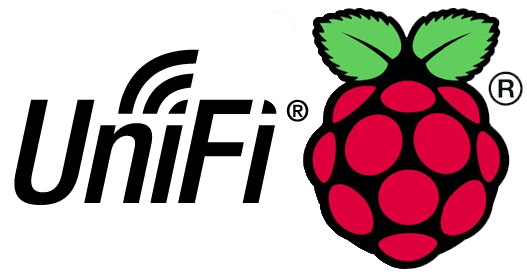 Boot the device and log in with the default credentials (pi/raspberry). First: update all the things and make sure raspi-config is present. Changed the hostname to unipi. Advanced Options -> Memory Split to choose 16MB – good for a headless config that’ll never see a monitor. Enabled Wait for Network at Boot. There is no point this device being alive if it can’t see a network. I rebooted after this step as by this point I’d reserved a specific IP in DHCP and wanted it to be picked up by the device. Stretch Lite is missing dirmngr – required for downloading certificates and checking CRLs. This will be needed in the next step when we add keys while adding the UniFi repository to sources. And finally, install UniFi. It requires Java 8, so we do these together in one command. This step will add something like 500Mb of extra stuff. We’ll also end up with a default mongodb server, which we don’t need – UniFi has its own – so we prevent it from starting. 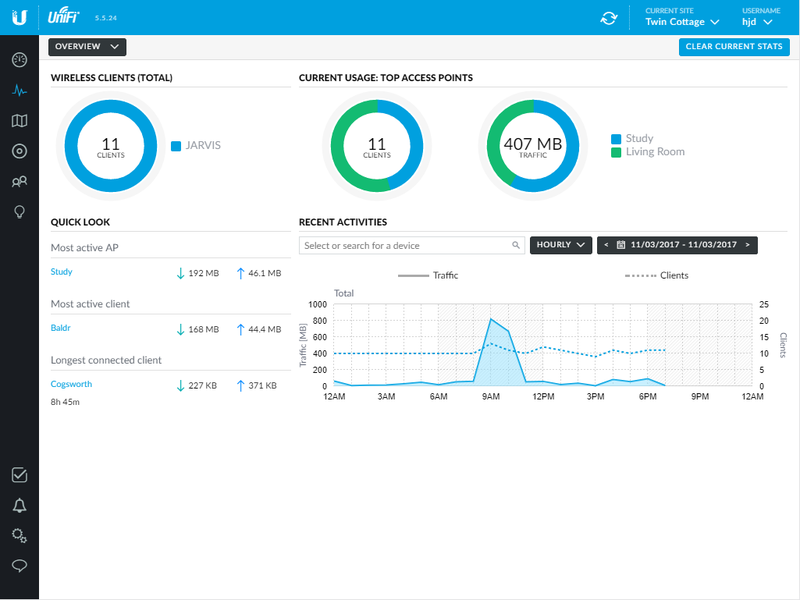 Issue a reboot before you start the UniFi setup proper. Next step is to configure the USG gateway – including intelligent load balancing between my lousy DSL and faster – but metered – 4G. I look forward to Gigaclear connecting me to make this step redundant!